Being centrally located on the north short of Hong Kong Island the area is well connected to the rest of the region with a variety of different transport links. Getting into and out of the area is easy, while due to its compact size you can reach anywhere within CWB easily by walking. Being on mostly reclaimed land the area is very flat and makes a great place to explore on foot. From the airport at Chep Lap Kok the best way to reach our district is by train. With the high speed Airport Express going from the Airport arrivals hall all the way to Hong Kong MTR station in just 23 minutes, and then a single connection from there on the Island Line to Causeway Bay the total trip is less than an hour, and clean and easy to follow. By train the cost depends on which ticket type you get, as well as single trips on the Airport Express there are a variety of return and multi-day passes, and passes combined with underground rail trips as well. A good option is the "Airport Express Travel Pass - 2 Airport Express Ride" which gets you into the city, and provides for your return all for HK$300 per person, this would also cover your MTR ungrounded rail trip from Hong Kong Station to Causeway Bay. However if you are unsure of whether you will be using the AirportExpress when you leave then a single way travel pass is only $220. In both cases you get $50 refund if you return the actual ticket when you leave rather than keep it as a souvenir. AirportExpress Shuttle Bus - line H2 - This is a free shuttle in a large minibus which stops at six major hotels dotted around the area; Empire Hotel, Metropark, Regal, Rosedale, The Park Lane and finally to the Excelsior which is one of the regions finest hotels and part of the Mandarin Oriental group..
By Taxi - It is only 20 minutes and about HK$60 from the AirportExpress station to any hotel in Causeway Bay, there are plenty of taxis and porters will help with your luggage. By MTR - The underground rail system or MTR is joined in the same building as the express station and is cheap, but best if you have no luggage and know exactly how to get where you are going on foot. For larger groups the AirportExpress fees do add up though and so you may consider instead a taxi. Of course regular underground trains are not a good option if you have just arrived and are travelling with luggage, in that case for a group of people a Taxi is good option. The airport in Hong Kong has an excellent taxi service with metered professional taxi drivers which will be able to take you to any part of the region, certainly to any hotel. As Hong Kong taxis are divided into different types according to their area they serve, but all types do pick ups at the airports, you need to make sure you get a Red taxi, that is to say an Urban taxi. Although official any urban taxi can take you to any part of the urban region in practice there are specific Hong Kong Island red taxis which is what you need when your destination is Causeway Bay. There are signs at the airport taxi queues to select the right type. Another type of Red taxi is a Kowloon red taxi and this is not correct, nor are the Green New Territories Taxi or the Blue Lantau Taxis. The Taxi fare from the airport is around $300, depending on your exact destination within Causeway Bay and of course traffic. 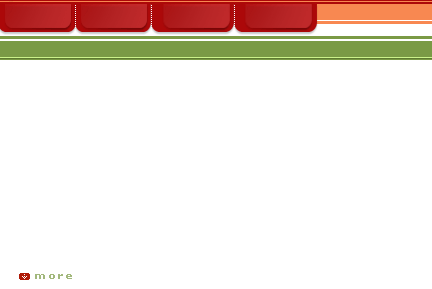 The charges for tolls are included, but not the per-item charge for luggage. Tipping is not required but a rounding up to the nearest $10 or $20 is considered polite particularly if the driver has been helpful. A whole range of "A" route - AirportFlyer and Express busses run from the airport to a variety of destinations within Hong Kong. The A11 route goes through Causeway Bay, ending in nearby North Point, and stops twice in the region. The first stop is outside Wanchai Fire Station which, despite it's name, is the Fire Station for Causeway Bay and is on the western edge of the district. After that the bus goes through the area and stops at Sugar Street which is near the middle of Causeway Bay and not far from major hotels such as the The Park Lane. This is not a good route if you have much luggage and your hotel is not near one of the two stops though, as it is too close yet to far to get a taxi. And there are no good places to get taxis near the bus stops. Geographically Stanley is not that far from Causeway Bay so if you have for example been visiting Stanley Market in the afternoon and want to dine here in Causeway Bay, or continue with some brand shopping, then it's an easy trip. There are two good bus options from Stanley to Causeway Bay, the number 63 which runs Monday through Saturday, and the 65 which runs on Sundays and public holidays. The daily #63 bus goes over the mountain, while the #65 goes through the mountain using the Aberdeen Tunnel. From Stanley Market walk back to the Stanley New Road which is where you entered and up the slope and across the road to the bus stop. This is where all the public busses operated by CityBus or NWFB stop. 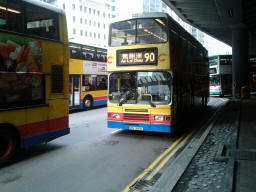 The busses run about once every half an hour, more frequently on Sundays and at busy times, and costs just HK$8.90 per person. When they arrive here the routes are different, so for the 65 bus on Sundays get off just before the Sogo department store at the bus stop named "Sogo". While on weekdays and Saturdays the bus route is more inland so get off outside the Central Library which is a great stop if you want to go to Victoria Park or Pennington Street outside Caroline Centre which is excellent for shopping being about half way between Times Square and Sogo. There is also a Green Minibus route which is faster than other public busses, but is a little confusing for those who have not yet tried it. From the main road outside the market, up the slope and near the public bus stop, is a green sign for the number 40 GMB. If you flag this down and pay $10 on entry you can go all the way to Tang Lung Street near Elizabeth House. But the GMB will only stop when you ask, so ask anywhere that seems convenient but don't go too far as when the minibus is on highway it may not be allowed to stop. Ocean Park is actually very close to Causeway Bay, just the other side of the hill. So a taxi ride through the tunnel takes you right up to the Times Square end of the district in just 15 minutes. One options is the 792M public bus as far as the MTR at Tiu Keung Leng Station, then take the MTR to Causeway Bay. The trip will take more than an hour though. 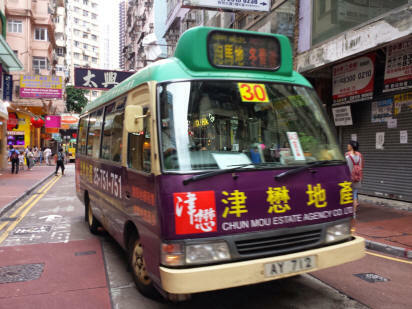 Alternatively the 101M Green Minibus goes from the Sai Kung bus terminal to Hang Hau Station where you can again catch the MTR. Both these routes take similar times and are similar prices, your choice really depends on whether you find the GMB to be uncomfortable as some people do, because of the speed and sometimes erratic driving. As both busses leave from around the same area you can simply take which one comes first. The prices are less than $20 per person either way. Rail is by far the best way to get from Hong Kong Disneyland to Causeway Bay. The Sunny Bay Line MTR service from Disney is a great smooth ride, and very prettily themed with Disney decorations, and runs straight into Hong Kong Station. A 5 minute walk along the interior corridors of the underground MTR station takes you to "Central Station" where the Island line is just 3 stops to Causeway Bay. If you will be visiting Disneyland then take some time to read this guide to the HK Disneyland on Lantau Island. While geographically close by there are actually limited options from going from Victoria Peak, at the Peak Tower and nearby Galleria, to Causeway Bay. A taxi of course can take you there directly and would be a good choice as far as direct trip is concerned though for those with who are sensitive to motion sickness the ride along the winding roads of the Peak can be upsetting. A great alternative is to take the Peak Tram down the mountain again to the lower terminus, and from there take a taxi. While it would be possible to continue walking down until you reach the Admiralty MTR station and take a train from there to Causeway Bay it is only 2 more stops and you'll be more time walking than riding, nor is the views particularly interesting in this area. For something historic though consider a two tram ride, take the Peak Tram down to the lower terminus then walk down until you can board the regular Hong Kong Tram and take that along to Causeway Bay! The MTR is the best way from TST.